The worthy relations of your life needs to be pampered and showered with love and gifts. When selecting a gift for them you have to keep in mind the proximity and value of the relation. 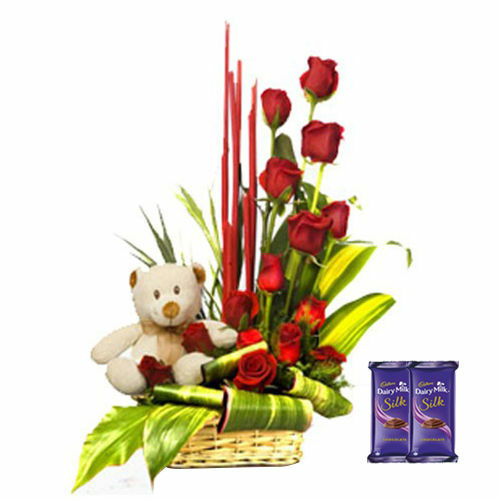 This bunch of dazzling bunch of 15 red roses and a cute 6 inch teddy in the basket along with 2 Dairy Milk Silk of 60 Gms each.